Europe’s second longest river, the Danube, flows through ten different countries. 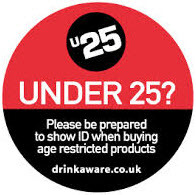 All of these countries have vineyards alongside the river valley – although we only see wine from seven of these countries on our shelves in the UK: Germany, Austria, Croatia, Hungary, Bulgaria, Romania and Republic of Moldova. A trip down this famous river is a fascinating vinous adventure. 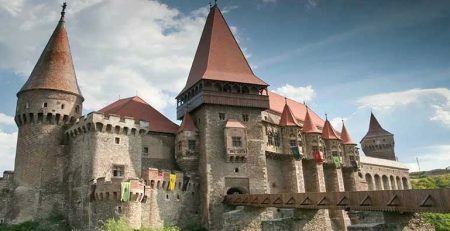 We begin at its source in Germany, head through Central and Eastern Europe on to the Danube Delta where the river meets the Black Sea near Moldova and Ukraine – some 1,770 miles later. We have picked out a selection of the best wines from wine regions which benefit from the special microclimate of the Danube Plains and valley along the way. 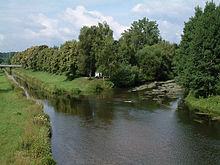 The Danube rises near the Black Forest in Donaueschingen village where two rivers Breg and Brigach (pictured below right) form the Danube in south-west Germany. Nearby is the famous wine region of Baden, with its famous Kaiserstuhl limestone and volcanic soils. The white and red wines show great similarities to Burgundy in style and weight, so they tend to be more typical of French, rather than German wines. Well priced German Pinot Noir: vibrant fresh with sweet cherry fruits. Karl Johner is very experienced Pinot Noir winemaker, he also has a vineyard in Gladstone in Wairarapa region in New Zealand’s North Island. Heading through Austria, the fast flowing Danube cuts through narrow valleys with steep forested banks. 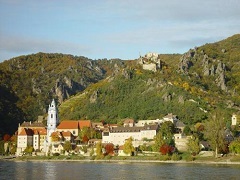 The best vineyards here hug the river on steep terraces on the northern banks in Wachau region – and on the southern banks in Kremstal and Traisental. One of the most popular grapes grown in all these regions of the lower Danube valley is the lightly spiced Gruner Veltliner. 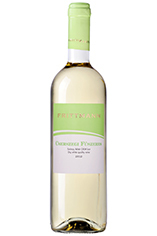 The best value Gruner Veltliner on the market: light spice, herbal, citric, vibrant minerally dry white. After flowing through the Hungarian Gates near Bratislava, the Danube heads down through the centre of Hungary. Half of Hungary’s wines are produced south of the capital Budapest in the Danube Plains – the best known is Kunsag region with its charmingly light aromatic dry whites. Reminds me of a dry Muscat with its grapey floral aromas, light spicy palate, fresh and brilliant value – typical of what Hungary does so well. Slavonia wine region in eastern Croatia, south east of capital Zagreb, benefits from the Danube river microclimate. Slavonia is well known for the Grasevina grape (otherwise known as Welshriesling) where it produces its richest fullest styles, as well as home to the famous Slavonian oak forests used to make wine barrels. 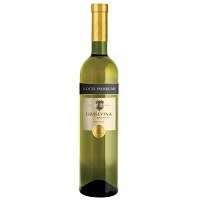 Very elegant creamy rounded example of Grasevina grape; would suit white Burgundy lovers. In the middle and lower courses, the Danube becomes shallower, slower and more like a flat-bed river – at its widest almost a mile wide – with marshy banks and low terraces. 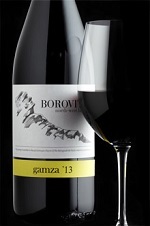 Just to the south of the river is the experimental Borovitza winery near Vidin in northern Bulgaria. The Gamza grape, also known as Kadarka in nearby Hungary, makes deliciously juicy Beaujolais-style reds: very sweet cherry fruits, chunky red fruit palate, tangy with good length. Romania has a vast number of vineyards (more than Australia), many of which are based between the northern banks of the Danube in Romania and the southern slopes of the Carpathian mountains. With its strong French influence, there are plenty of Chardonnays and Pinot Noirs here – but the native Feteasca Neagra red grape is very characterful. Viticulture is Moldova’s main agriculture along the lower Danube plains. Whilst there is huge potential: with similar latitude to Burgundy, poor soils and moderate continental climate tempered by both the Danube Delta (pictured right) and the Black Sea, international investments have been limited due to its proximity to Ukraine and Russian borders. Moldova once supplied one fifth of Russia’s needs and has the dubious claim to fame of having the highest alcohol consumption in the world. At its best with fullbodied claret style reds and sensational dessert ice wine.